Dotted all along the coast of Devon and Cornwall are scores of churches that sprang up over the centuries to serve the multitude of small fishing villages. Most probably because of the dangers involved in fishing, people felt much closer to their Maker. and the church had a very important part to play in their lives. Nowadays the fishing fleets have long since gone into decline, and most of the villages have turned towards tourism in order to make a living. Today people are not so strong on religion, but inexplicably people still seem drawn to these little churches. 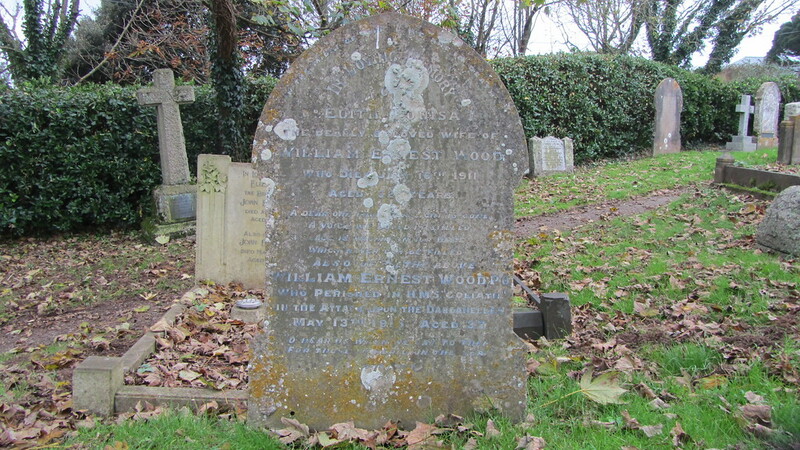 The grave of Petty officer William Wood of HMS.Goliath. During the summer you can go to almost any church or graveyard and find people wandering around soaking up the atmosphere. It would seem that more and more people are becoming interested in local history and of course graveyards and churches provide a huge fund of local information. For the wreck hunter graveyards are truly fascinating places. 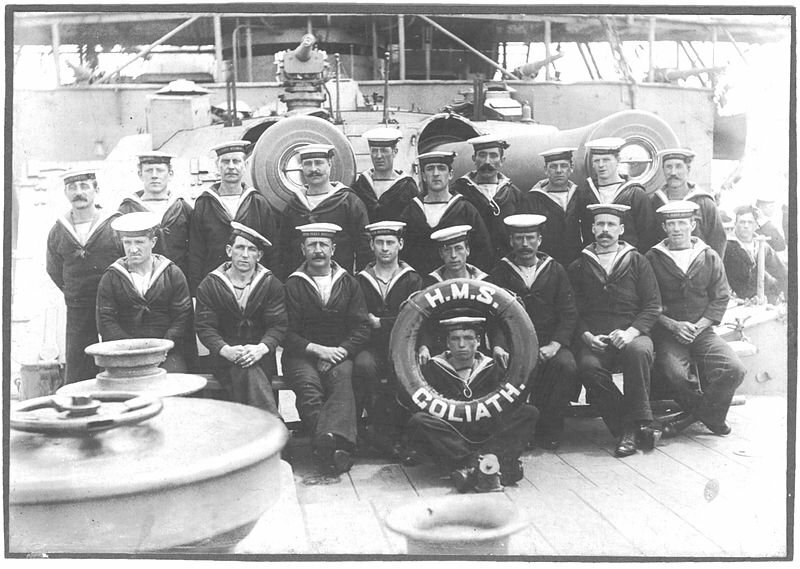 Quite often the search for a new wreck can result from reading a fading inscription. on some worn slate tombstone. Sometimes, visiting the grave of people who lost their lives after being tragically wrecked, somehow brings the whole story to life and makes it a real event, instead of some dusty secondhand tale. Quite often it is impossible to find the wreck at all, and all that’s left is the memory of a story written on a fading tombstone.